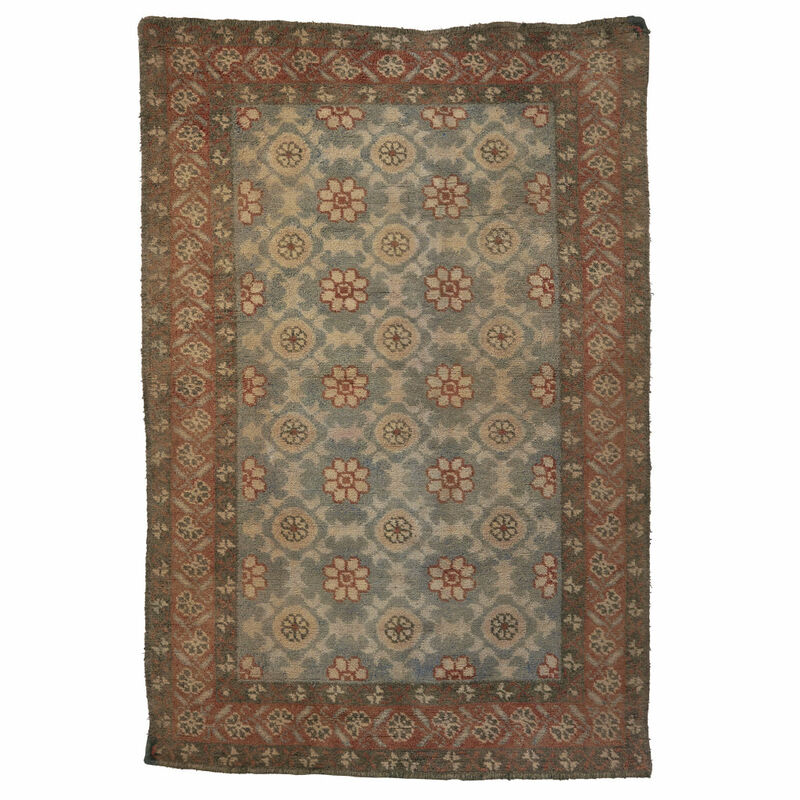 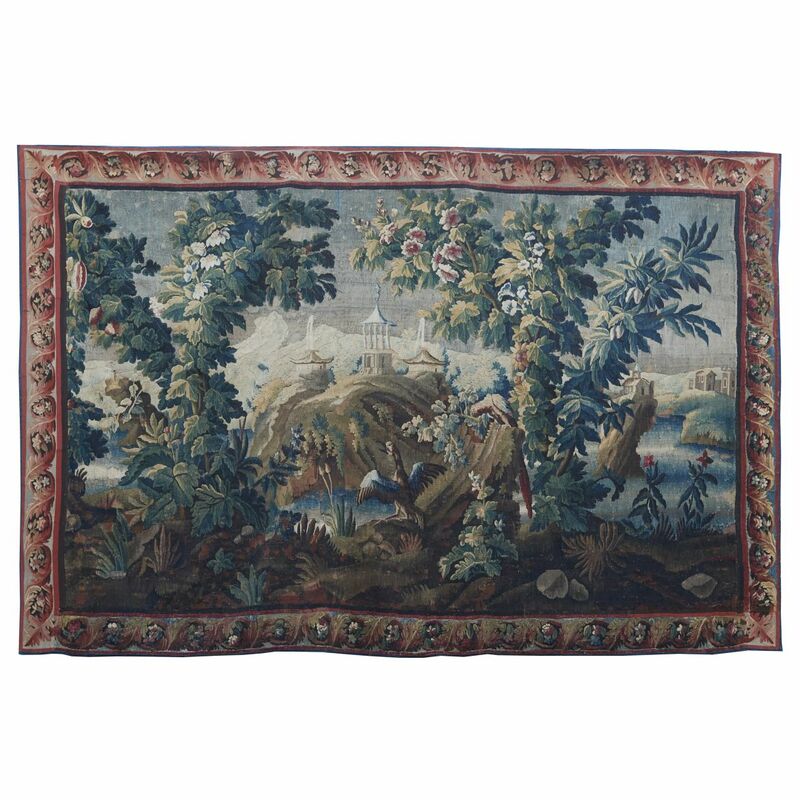 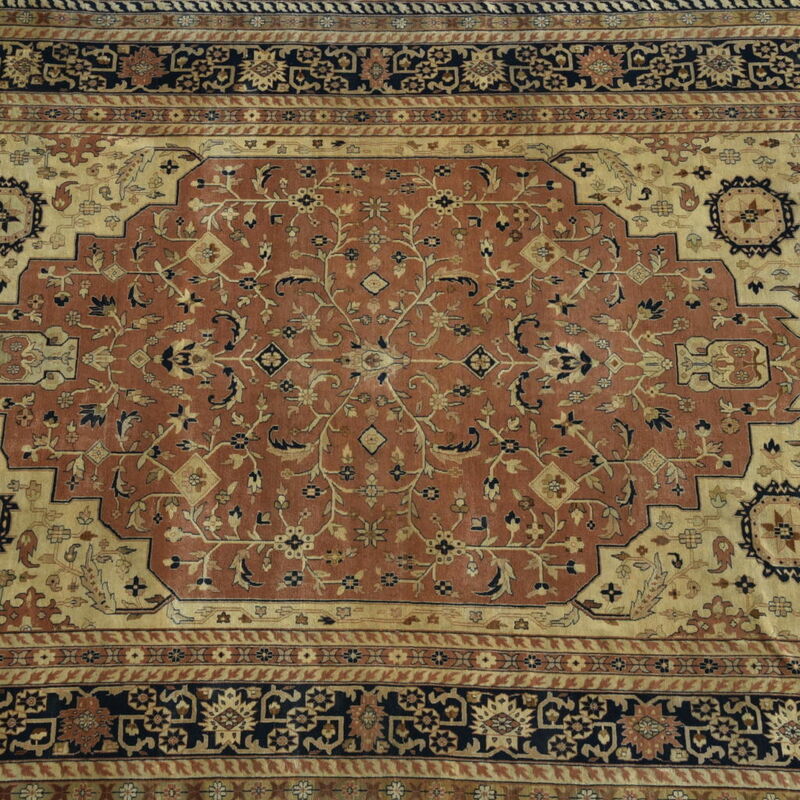 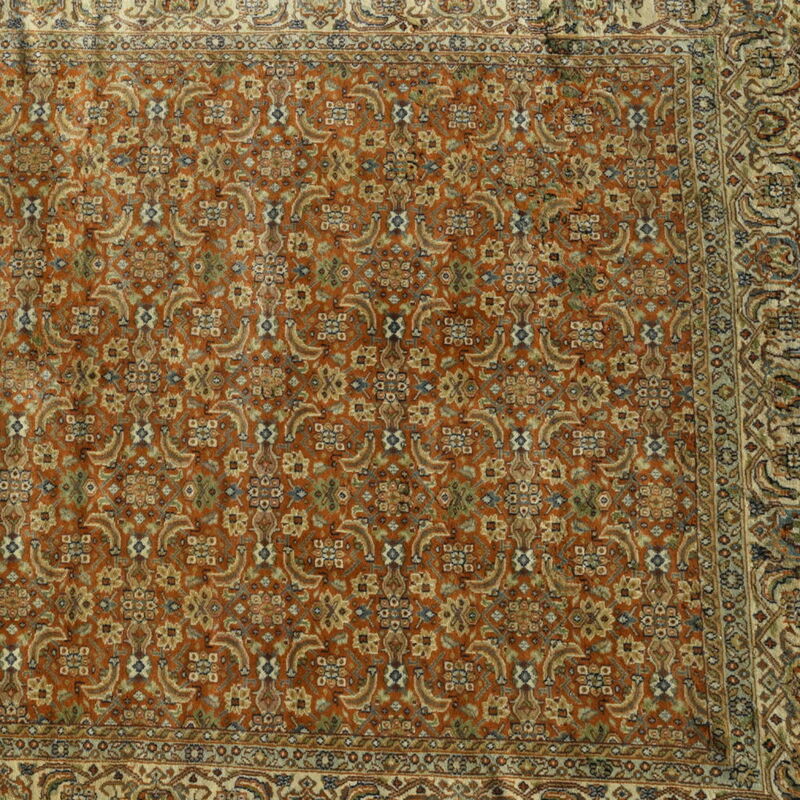 Large Charles X Aubusson woven wool carpet. 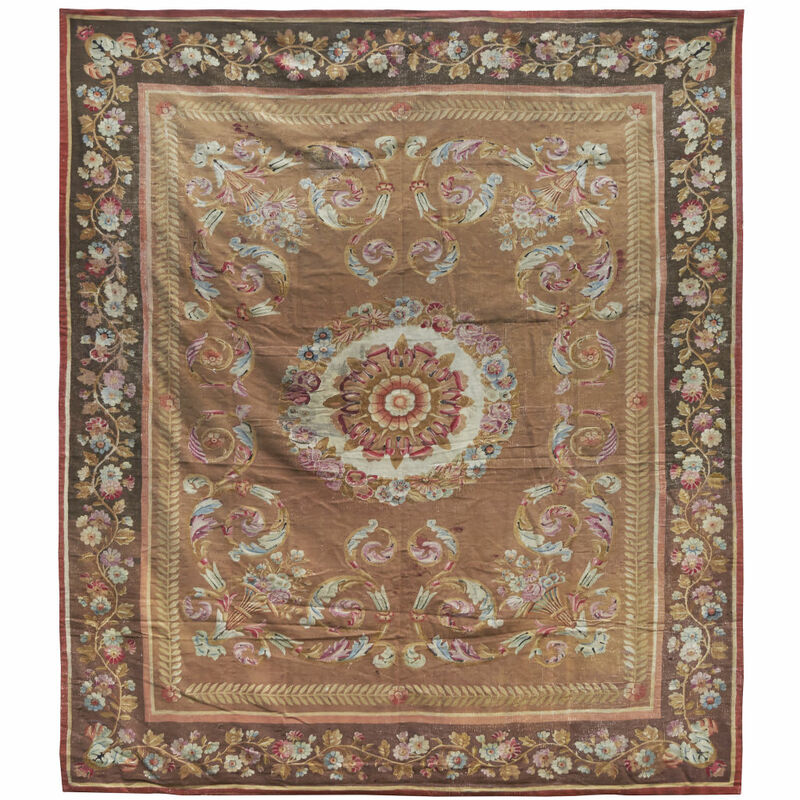 The central folral cartouche surrounded by swags and the floral border on a dark ground. French c1830.